Here am with the traditional malabar recipe with ripe mangoes. Enjoying those sweet ripe small mangoes is a wonderful feeling. I got some small ripe mangoes from Kerala. So i thought of making some traditional dishes with that rather than having them. That fresh fragrance makes me drool and reminds me of my childhood days. Here is the recipe for chakkara manga (mango simmered in jaggery syrup). 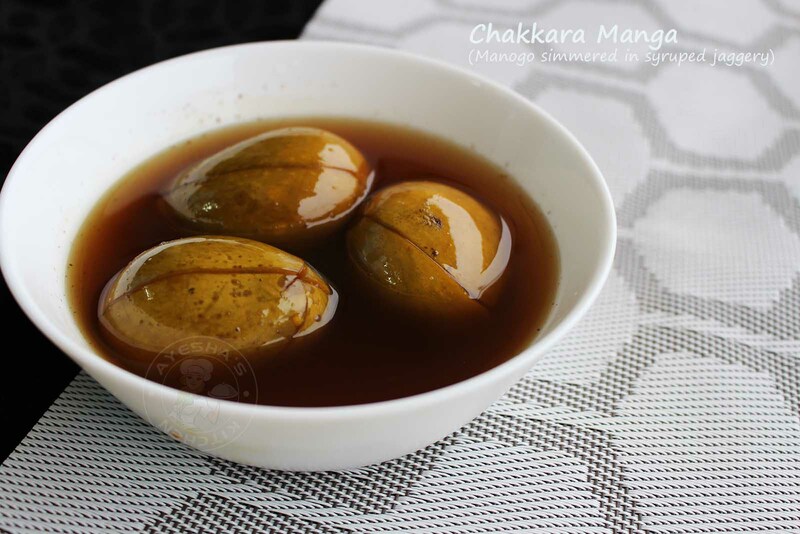 All you need is some ripe mangoes and jaggery / sharkara / chakkra. Enjoy. Here i used small ripe mangoes (nadan maanga). I prefer small ripe mangoes for this recipe. Make slits in mangoes and let it boil in 1 cup of water. The quantity of water depends upon the size of mangoes. Once it starts boiling, add salt to taste. 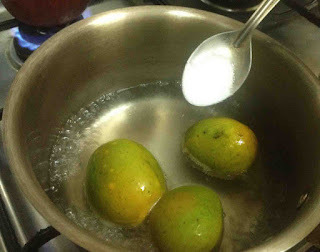 Boil until mangoes are half done. Meanwhile, melt jaggery in a separate bowl. 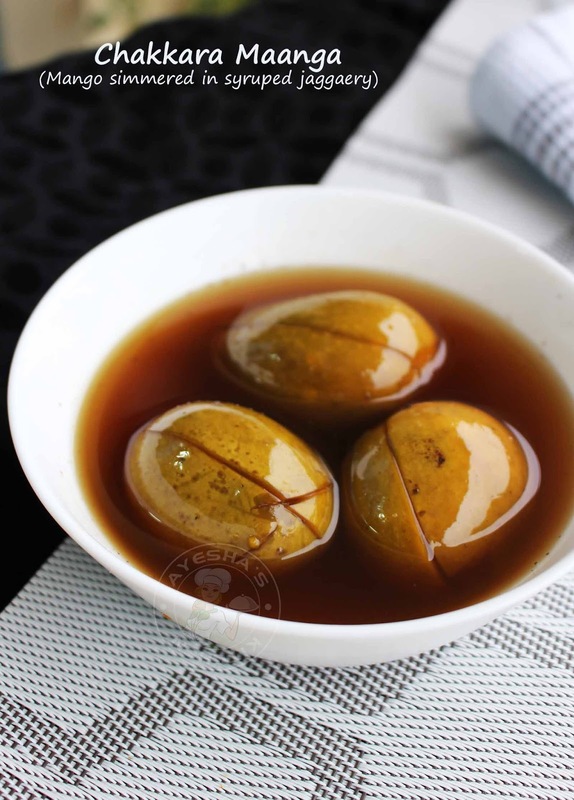 Add this melted jaggery to this half cooked mangoes and simmer them for 15 - 20 minutes until mangoes are completely cooked in this sweet syrup. You will get a slight thick jaggery syrup once done. Let it cool completely and enjoy the tangy sweet mangoes. Banana fritters / pazham pori / yethakkappam is the traditional malabar snack which is easily available in roadside food stalls of Kerala or in restaurants as an evening snack. Pazhampori / yethakkappam with a nice cup of tea makes me feel nostalgic. That reminds me of those rainy days, school days, tea stalls / thattukada, my sweet home and of course my mom. It was a pleasant feel to enjoy those raindrops along with something hot to eat. We will be thinking that why restaurant or tea stall style banana fritters or pazham pori is more tasty with crispy coating outside with soft inside?. The answer is very simple. For making perfect restaurant style pazhampori or thattukada style pazhampori, few things are to noted. 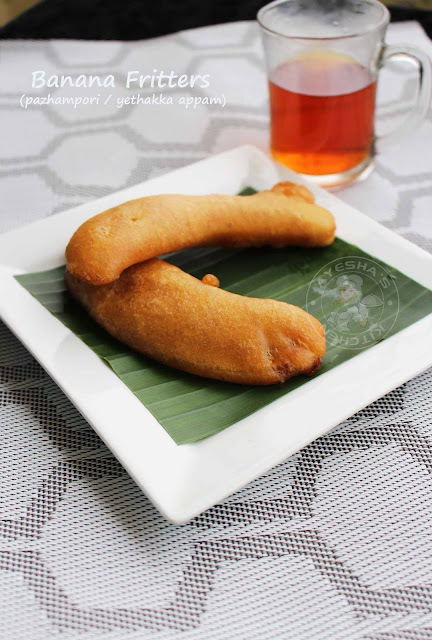 Though the recipe for banana fritters is too simple and quick, the ingredients must be of right quantity or else results in the hard pazhampori . Firstly, you have to use ripe banana (do not use overripe banana). Secondly, you have to blend all those ingredients in a blender instead of mixing with hand. Thirdly, The batter must be smooth and thick. That is, the batter should not be watery but must be thick like idli batter. Fourthly, The oil must be hot enough, that is while you drop in the battered plantain to the hot oil it must puff up immediately. But once hot, make the flame medium-low to avoid burnt fritters. For making pazham pori or yethakkappam, nenthrapazham or yethakka is used. You can make Wheat flour banana fritters for a healthy version. Here i used maida or all purpose flour for making this delicious sweet dish. Some use egg while making the batter to make a soft banana fry. But in reality, the egg is not at all needed for making soft crispy banana fritters. 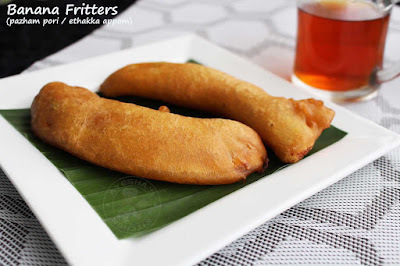 So here is the recipe for making perfect banana fritters or pazhampori / eggless banana fritters recipe / South Indian cuisine / ethakkappam /Kerala snacks/plantain recipes / traditional malabar snacks / fried banana recipe /recipe for banana fritters /banana recipes. Add more water if required for smooth grinding but do not add too much water while grinding. We need a thick smooth batter consistency. Grinding these ingredients in blender helps to get a soft and puffed banana fritters. When done, pour it into a big bowl. Now add baking soda and mix well with a spoon. Take a deep bottomed wide pan or wok. Heat oil for deep frying and make the flame medium. Now cut each plantain / nenthrapazham / yethakka into 4 or 5 long slices. OR you can half the plantain and then make small slices so that u can make more fritters. The oil must be medium hot while dropping the battered banana. 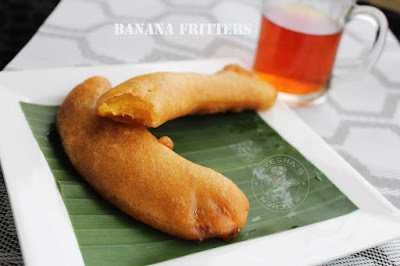 Take a banana slice/plantain slice, dip completely in the thick batter and drop into the hot oil. It will puff up immediately if the oil is at the right temperature. Lower the flame if the oil is more hot. Flip over after few minutes. Fry on both sides. Drain it to a paper towel. 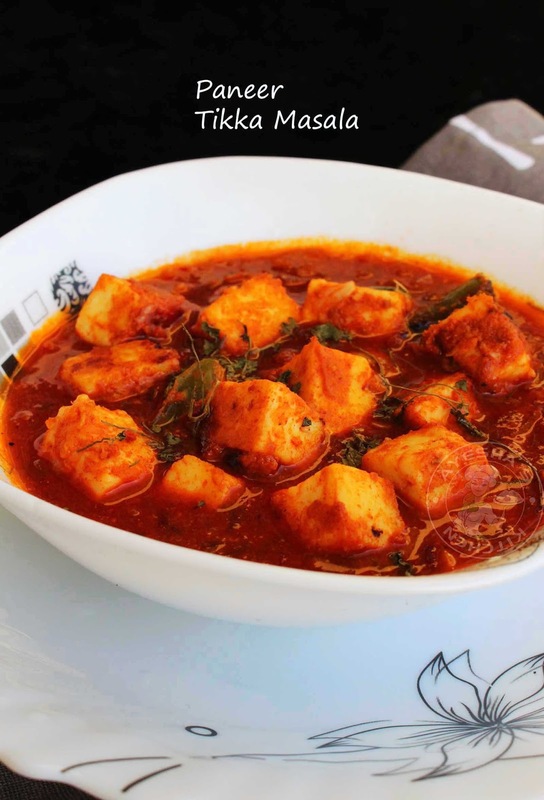 Serve hot along with black tea. 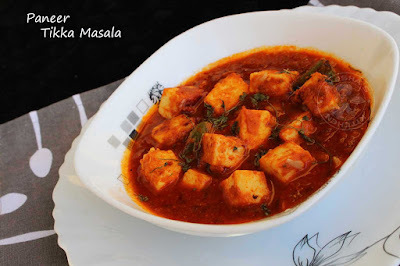 Please subscribe my YOU TUBE CHANNEL - Click here for more cooking videos. Batura / bature is a puri shaped fluffy deep fried leavened bread which belongs to Punjabi cuisine. It is often paired with chickpea curry or chana masala or any curry recipes and so it is popularly known as chole bhature. Chole bhature is one of the popular Punjabi dishes (Indian food). Basically, batoora is larger in size than puri. But it is shaped into various shapes and sizes as per our preference. There are different varieties of bhature available like paneer bhature, aloo bhature. The main difference between puri and batura is fermentation. Batura needs fermentation that means, the dough is made to rise a little by using any leavening agent such as yogurt or butter milk. But puri can be made instantly after proper kneading. Batura tastes slight tangy in taste when compared to puri. Batura is made mostly with all-purpose flour as it reacts better with yeast for fermentation. But puri can be made with wheat flour, maida, semolina, maize and like so. As this Punjabi classic bread is always accompanied with chola, it is popularly known as chola batura. 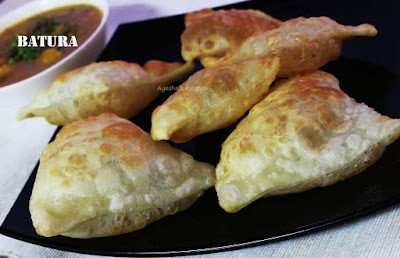 As this is an easy version for making batura, this can be grouped under easy breakfast ideas. But I prefer having this spongy deep fried bread for my dinner than for breakfast food. As a mom of school going kid, I always prefer simple breakfast ideas like steam cake, dosa like so. So let's move on to the recipe. Please drop your valuable suggestions and feedback below in the comment box. Hope you all liked this recipe. 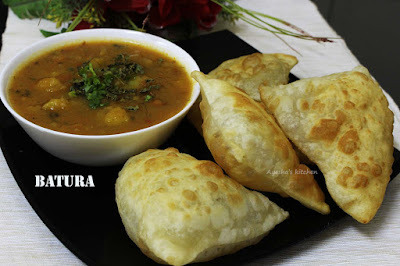 Here is the recipe showing how to make bhatura recipe / Indian cuisine recipes / chchole bhature / bhatura recipe /easy batura recipe / delicious breakfast recipes/chickpeas curry. Take all purpose flour in a bowl and add sugar, salt and baking soda to it. Mix well. Then add two tablespoons of oil and mix well with your hands until well combined. Now mix together milk and curd in a bowl. Add into the flour mixture and knead it well for 5 minutes. Set aside covered for 30 minutes. When done, make balls and roll into a big chapati. With a knife cut into four equal pieces as shown in the pic. 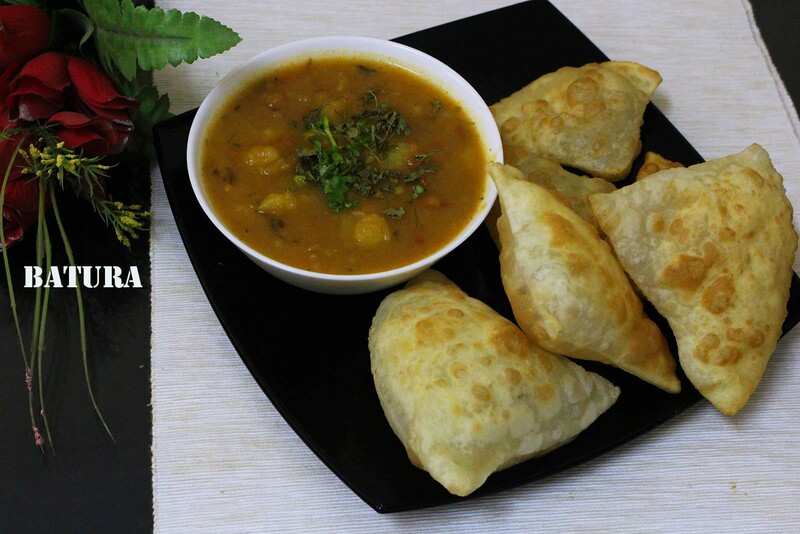 (you can also make small puri instead by cutting with a round cookie cutter or make small lemon sized balls out of dough and flatten it to a small puri). Heat oil in a kadai / wok for deep frying. Once hot, drop it into the hot oil. Just press slightly with a spatula on the top in a circular motion to puff up(see the pic). When it is puffed up, flip over and cook the other side. 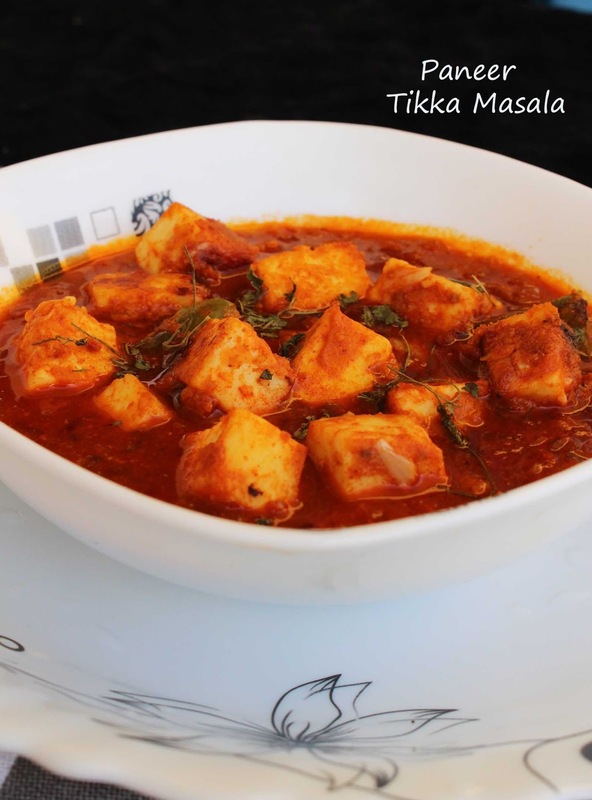 Drain it to a paper towel and serve along with potato curry or chana masala.